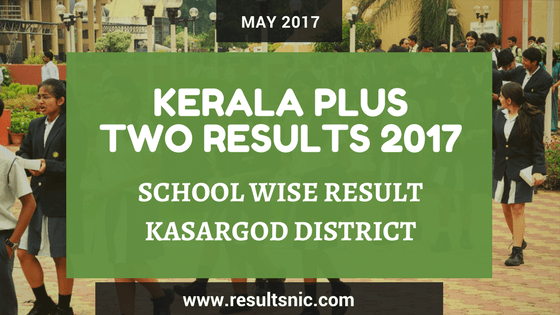 Kerala Plus Two Result 2017 School Wise Result Kasargod District are available on the exam result website by Kerala Government. In Kasargod District the Pass Percentage is 79.12%, TotalNumber of A+ Holders is 1795 , Total number of 9 A+ holders is 484. To get the school wise result we need the school code of schools in Kasargod District. The Higher secondary schools in Kasargod district with school codes are given below. Go to http://examresults.kerala.gov.in/ and enter school code to get the school wise result. 70 14070 TECHNICAL HSS, CHEEMENI,KASARGODE. 71 14071 MARTHOMA HSS FOR DEAF,KASARGODE.